The following are some of the most common challenges I’ve faced and how I do my best to overcome them. I will use Spanish as the second language, for the sake of clarity, but this is applicable to any language. My children’s father is also fluent in both English and Spanish, which sounds ideal, right? In practice, it just isn’t. Since our kids were born in a Spanish-speaking country we initially decided to speak to them in English so they would grow up speaking both. But then we moved to the United States, and Dad never could transition to addressing the girls in Spanish. In other families, the issue could be that one of the parents does not speak Spanish at all. The solution: Have the Spanish speaker in the family always address the kids in that language even if they respond in English. Eventually it will rub off on them. Peer influence plays a vital part in speaking languages as a kid. It is actually common for kids who are comfortable speaking Spanish at home to rebel against it when they discover their school friends aren’t bilingual. The fact that their schoolwork and homework is in English may also hinder their Spanish speaking skills since they spend so much time with their main language. The solution: Have the kids stay in touch with your Spanish-speaking family using Skype, Facetime or any other available technology if they live far away. Set up play-dates with Spanish-speaking friends. Sign them up to Spanish class, travel with them to Spanish-speaking countries so they realize there is an upside to speaking the language. When your child is learning how to speak she may anglicize Spanish words or viceversa. She could also mix both languages in the same sentence. You may then start getting criticism from those who just speak one language; they’ll make sure to tell you it is going to cause a speech delay and that your child will be confused. The solution: Stand firm and don’t pay attention to those who tell you to wait until your child is older to teach her another language. Do your best to speak in just one language at a time. Eventually, your child will catch up! This can be a tough one to handle. Keep in mind that if you have decided to be the family member who addresses your child in Spanish, you should do your best to stick to that in any situation. You will need to ask yourself what is more important: for the monolingual moms in the park to like you or for your kid to be bilingual? The solution: Ever since I was a kid living in a Spanish-speaking country, my dad would always speak to me in English. To this day, that is our main language and if we are in the presence of non-English speakers, I translate our conversation to the group. I do the same thing with my kids. Some people still take offense, but my priority is for my girls to be bilingual and I deal with it on a case by case basis. Unless they are attending a language immersion school, it can be a challenge to teach your kids to read, write, and speak both English and Spanish fluently. 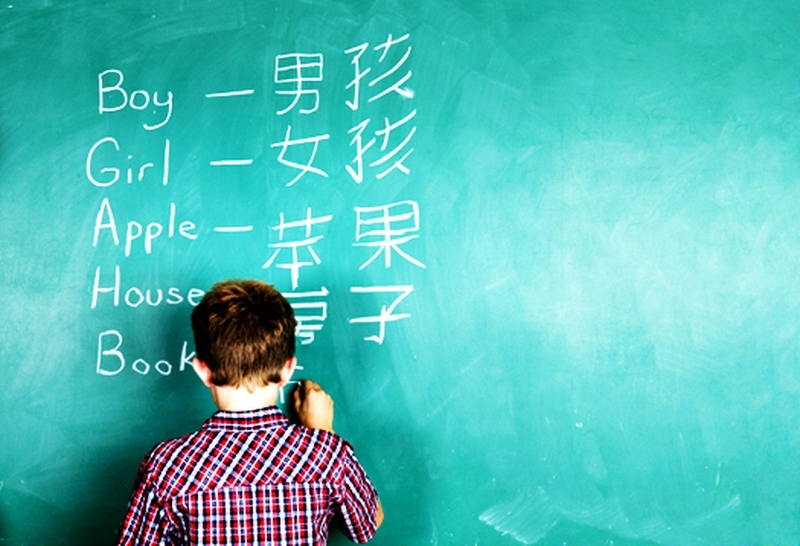 I was lucky that I had a dual language education, but I cannot afford it for my own children. Plus, there are no such schools in my area even if I could pony up the money. For that reason, my kids are English dominant, but I hope that will change in the future. The solution: Be patient but insistent. Do your best to have the kids read, write and listen to sing-alongs in Spanish. Have them write letters or emails in Spanish to la familia in your country of origin. Watch movies and TV shows in Spanish. Give them an allowance based on doing reading and writing exercises in Spanish. I’d love to hear your insights when it comes to raising your bilingual kids! Would you share them with us in the comments section?